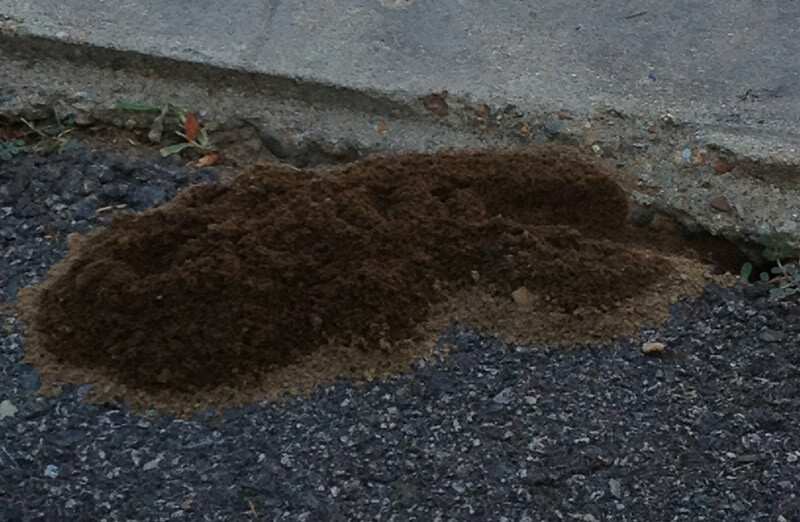 On approx 7/7/12 I spotted the first pile of dirt, after looking around I spotted the 1st cicada killer of the season. It is now 7/17 and I've had about 4 more emerge. The one in the pic has been hanging out in the same spot for days waiting. If it is anything like last season i will have about 60 at the end of the season. I also saw a cicada which I will submit separately. Yes what you are witnessing is probably a male hanging around in the hopes of a female wondering in closely. Thanks for sharing the photo of a typical cicada killer burrow. Do not be surprised if you get more cicada killers each year. For this new batch of cicada killers are the progeny of the cicada killer females that laid the eggs the previous year. Check in from time to time to let us know how big the cicada killer area becomes. I have an upcoming project that requires many cicadas. I like to use large cicada killer leks to help obtain cicadas. Gerry, I will keep you posted. You are more than welcome to visit and do whatever helps you in your research. Today I spent time in Swansea staking out 9 cicada killer burrows. I managed to obtain 3 cicadas from cicada killer females. As time goes by I expect to see more and more burrows. Since I gather that your sighting is not the first of the season. How many burrows do you expect to see this year? The reason I ask is, the more burrows the more females and the more females mean a lot more cicadas being brought in. I am involved in a project where I need at least 36 paralyzed cicadas. Right now I have about 6 or 7 on my property. Now I am low balling this but I would say at the height of the season last year we had about 40 burrows on and around our property. We are right on top of our neighbors and last year they had burrows all along both of our neighbors driveways. So more than likely there are more than 6 or 7 since i haven't looked to see if the neighbors have them yet. They are very nice people so I am sure they will let you include those areas in your research. Yesterday around 2:30 pm we saw a cicada killer dragging a cicada into a burrow ..... That was the first time we witnessed that phenomenon. 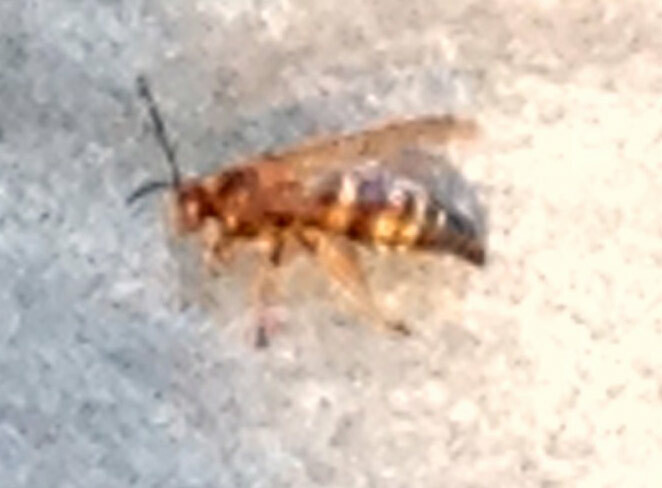 I was searching the web this morning to try and figure out what type of ground bee I have been seeing on the property here in Hanson MA. I'm guessing their Cicada Killer Wasps. These bees seem to have a lot more yellow/orange on them than the ones out in the Midwest. Two years ago I had over 100 nests on my property in Indiana which was amazing to see them in action but my kids did not want to spend any time outdoors. Is there many types of these bees here in MA? Is there a website that shows all of them? I haven't been able to find a site.